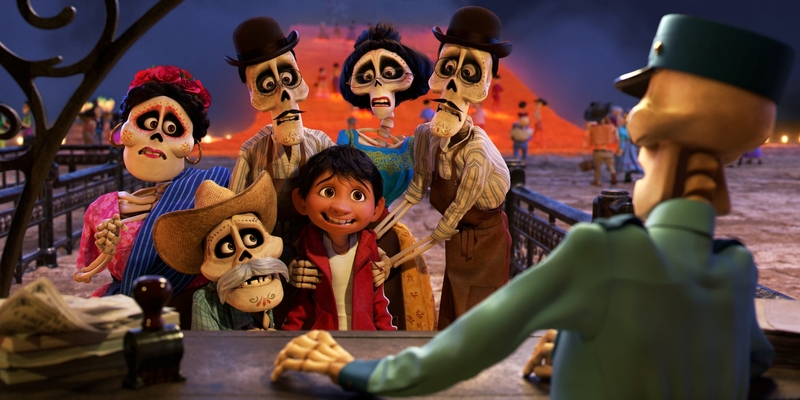 Coco Trailer Teases All The Pixar Magic You Could Want - Are You Screening? Coco wasn’t really any different when it was first announced. We finally have a bit more to explore in a new trailer for the film, and while it doesn’t give us a lot of detail on where exactly things are headed, we at least get a good look at the general idea. Miguel (Anthony Gonzalez), as we had seen before, is magically transported to the land of the dead, and now we see him being brought together with his relatives and trying to get back to the land of the living. We also get a few more notes on the rest of the cast, which is fantastically impressive. And, we get a little better look at the artistry involved in this gorgeous world. You could go on for days about the cast in this one, but the film includes: Gael García Bernal, Edward James Olmos, Benjamin Bratt, Alanna Ubach, Gabriel Iglesias, Cheech Marin, and many more. One of the best things about the trailer is that even without giving anything away, you know there’s a darker turn somewhere around the corner. It’s all pretty lights and magical splendor on display here, and you get a couple of the cute and funny moments, but it’s somehow lingering in the air that things are going to get a bit hairy for Miguel. Take a look at this one above, and make sure you let us know what you think.